I know, sounds like another Canon 5DMKIV rant. Well, maybe it is. I’ll let you decide. 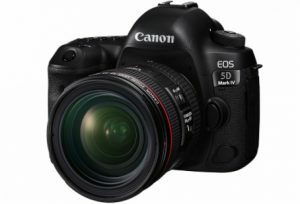 For any filmmakers or photographers living under a five-ton rock, this week Canon announced their long-anticipated upgrade to the 5DMKIII, and, in my case, the 5DMKII. I mention the MKII because this is the camera I bought a few years ago after reading accolades from the likes of DPs such as Philip Boom, Shane Hurlbut, etc. They did not steer me wrong. I loved the camera and still do. I continue to use it and have not upgraded precisely because I have been waiting for the MKIV and all its 4K goodness to replace it. Now that it is out along with all its specs, disappointment is just not strong enough of a word. What’s that you say? The 5D was always a still camera and not a revolution in filmmaking that provided filmmaker’s a way to achieve a level of quality they previously had to pay thousands of more for? Huh? Seems that went by the wayside when DPs like Hurlbut and others began using the MKII to film major motion pictures and TV episodes. Come on, Canon clearly knew what they had and decided to make hay on it with the release of their “C” series of video cameras. Their decision to leave you and I behind was obviously calculated. And THAT’s the reason I’m leaving Canon behind as far as video goes. Does Canon hate us budget-minded cinematographers some might ask? After all they do make serious video cameras, you know. You can always mortgage your house and buy a C300 for only 9,000 more clams, or even get a C100 that’s only $2000 more and doesn’t even do 4K. And, they have all the video goodies that video cameras have, including all the things you’ve learned to live without and discovered you don’t really need while using the 5DMKII-III. See? Canon has your back! If you think this blog is just a rant, read on. Am I mad? No. Am I bitter? No. Am I calling for a boycott of Canon? Hell, no. Their families have to eat, too. Ultimately, I don’t care what camera you end up using even if its Canon. Everyone needs to use the tool that best suits their particular lead. Eight years ago there was only the MKII. Today, there are a multitude of choices, so don’t get hung up being angry about Canon’s marketing choices for too long. You two can go your own separate ways and have an amicable split. Really. That’s what speedboosters are for. So go out and hang that Canon glass on a GH4, or GH5, if it ever comes out, and have yourself a cinematic ball. I know I will. But I think I will stick with companies that have marketing people who actually listen to their customers and don’t take them for granted. Canon is no fool. The MKIV was no mistake or a mis-guided attempt at adopting what their customers have been asking for. I can envision bloody Game of Throne-like battles between the engineers and marketing suits at Canon. I just turned out marketing had all the dragons. The MKIV is what it was designed to be. Its up to you if you want to think they just gave you the middle finger or not. But if you do, take it for what it is and quickly move on. Life is too short. The bottom line here is, even though we’ve lost Canon for low-budget filmmaking there is much cause to rejoice as other companies pick up the banner of innovation and make cameras we could only have dreamed of just a few years ago.